Ural Airlines saw passenger numbers increase over the first seven months of this year to 4,943,434, a rise of 16 percent over 2017 figures. The airline operated some 34,460 flights during the first half of the year, almost half of which - 15,203 were on international routes. The carrier also had a busy July, transporting 1,002,962 passengers on 6,328 flights during the month. Of those 440,310 were on 2,716 international flights. Ural Airlines currently operates an all-Airbus fleet made up of twenty-four A320s, fifteen A321s, and seven A319s. However, the airline recently placed an order with rival plane manufacturer Boeing for 14 737 MAX aircraft in a deal worth US$739 million at list prices. The aircraft are scheduled to start being delivered in October 2019 and all should arrive with the Russian airline by April 2022. 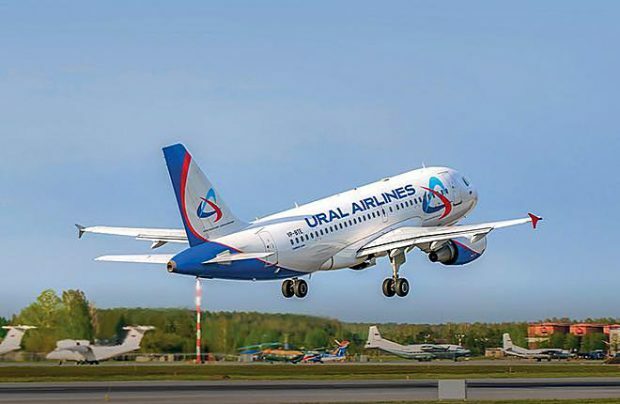 Earlier this month, Ural Airlines, which is currently Russia’s fourth largest passenger carrier, agreed on a codeshare deal with Belavia, the flag carrier of Belarus. The arrangement started on the 1st August this year, “This partnership with Ural Airlines opens new travel opportunities for our passengers. The agreement means we can offer a wide choice of destinations with connections at Domodedovo and Pulkovo for people in Belarus, making their travel across Russia more convenient,” said Anatoly Gusarov, Belavia’s general director.